Chesapeake Energy (CHK) announced a deal Monday to sell half of its oil and gas assets in northern Oklahoma to Sinopec, one of China's largest oil producers, for $1 billion. Chesapeake's shares dropped nearly 5% as investors worried that the embattled Oklahoma City gas company sold the assets at a discount. "There's been a concern that Chesapeake's weakened financial position would make them do deals at low prices," said Phil Weiss, an analyst at Argus Research. Weiss estimates that Chesapeake sold half the land for $15 per barrel of oil reserves compared with a more typical range of $20 to $30 a barrel. The sale to Sinopec was structured as a joint venture, most likely to avoid U.S. regulatory scrutiny, say analysts. Sinopec had been rumored to be a suitor for some of Chesapeake's assets since its chairman was spotted at an Oklahoma City Thunder game last June. Chesapeake's outgoing CEO, Aubrey McClendon, is an investor in the NBA basketball team, which plays near Chesapeake's corporate headquarters. Investors in Chesapeake, one of the largest natural gas producers in the United States, have been on a wild ride over the past year. The company's shares dropped sharply after Reuters reported last April that McClendon had taken out more than $1 billion in loans against his personal stake in Chesapeake's oil assets. While its stock remains highly volatile, Chesapeake has recouped those losses and is up 17% so far this year. Chesapeake had been scrambling to sell off assets to reduce its massive debt load following a sharp drop in natural gas prices. Spot prices for natural gas hit all-time highs of $5 in July 2011 but dropped below $2 in April 2012. Prices have rebounded somewhat since then and currently hover around $3.50. The company has also been making progress. 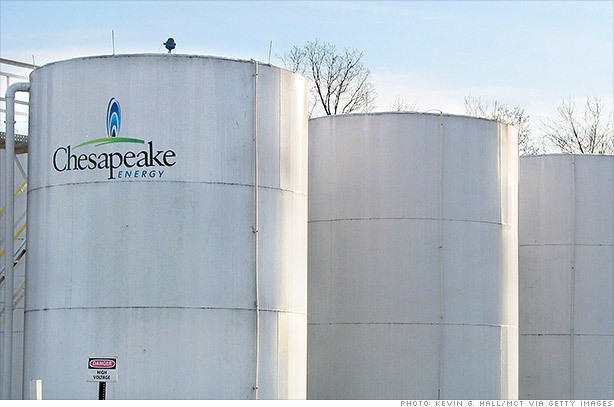 Chesapeake has reduced its long-term debt by $3.6 billion, as of Dec. 31. The company also entered into hedges on natural gas to protect Chesapeake from changes in gas prices. At the urging of of Carl Icahn and other investors, Chesapeake also took steps to replace many board members. And recently, McClendon announced plans to retire this April. No successor has been named, leaving investors nervous about where the company is headed.